I know I’ve made something of a big deal out of how I’m no longer interested picking up random pumpkin beers anymore, but I couldn’t help myself when I came across this one. Scottish ales have a way of drawing me in and this one being a Scottish/pumpkin ale combination seemed too intriguing to pass up. 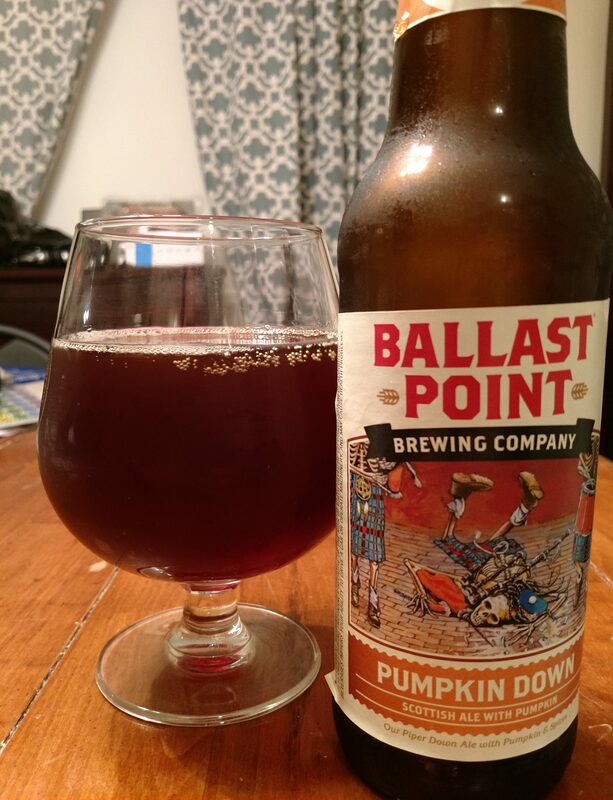 Description: Setting out to offer up a unique take on pumpkin beer, the brewery used their Scottish Ale as a base and the added a “boatload” of roasted pumpkin and some subtle spices to round it out. You can read all about it here. Appearance: Dark amber body topped off by a thin, fizzy off-white head that did not stick around long enough for the photo. Smell: Faintly sweet caramel malts overtaken by that usual blend of pumpkin and fall spices. Taste: Similar to the smell but not as spicy as I might have thought. Nice blend of toffee sweetness and biscuity malts up-front. This was followed by a pronounced vegetal pumpkin presence that started up around mid-sip and hung over the remainder of the beer. The pumpkin taste peaked just at the finish of the sip where it was joined by a moderate hit of spices to close out the experience. Mouthfeel: The body was on the thinner side and the carbonation level was slightly above moderate. Hype: Just my personal hopes and dreams. I like Scottish ales and I’ve like several other offerings from this brewery, so I was pretty interested in how this would taste. Overall: I didn’t like this nearly as much as I had hoped I would. The pumpkin taste came on just a bit too strong which in turn made the spices, which were otherwise subtle, a bit too pronounced for my liking. This meant ending each sip on kind of a down note which was disappointing after such a promising start. Could have used a bit more body as well. Oh well, just another lesson to be learned about the dangers of pumpkin beer I guess.